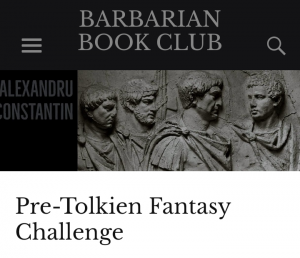 Alexandru Constantine, the barbarian book clubber, has an intriguing idea that should appeal to all fans of fantastic literature. Not sure what I’ll have for this breakfast, lunch, or dinner, but I’m looking forward to this exploration of a strange culture. You know what they say, the past is a foreign country, and it’s one I wouldn’t mind visiting to see how it differs from today.